Well there I was thinking the Colt Express a few months back was possibly one of the most difficult board games we had played……. that was until Catan arrived. 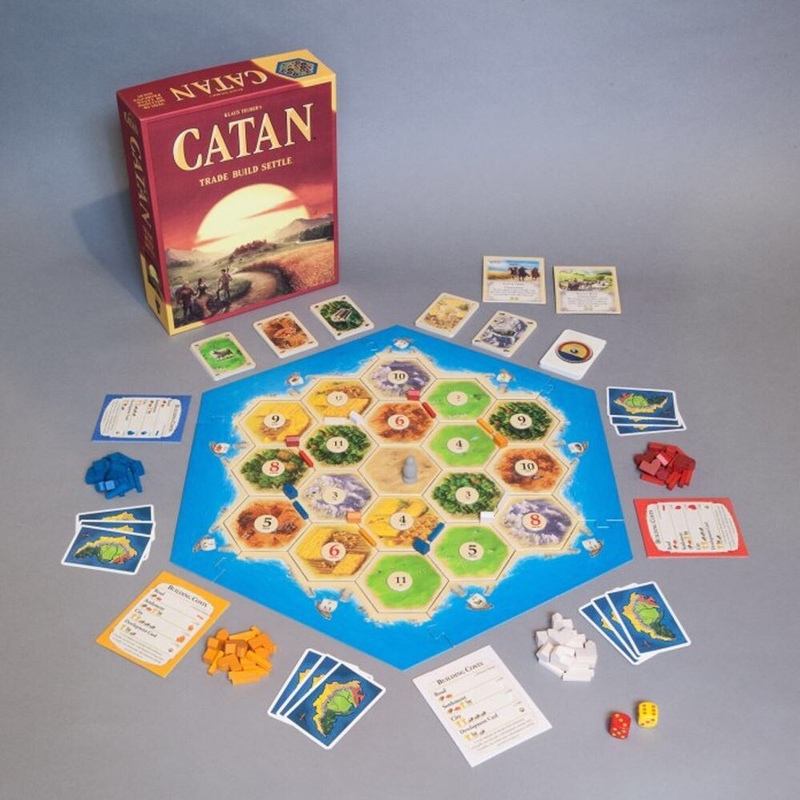 A quick google search of the word Catan will bring up multiple listings all about this one game and various add ons or other versions. 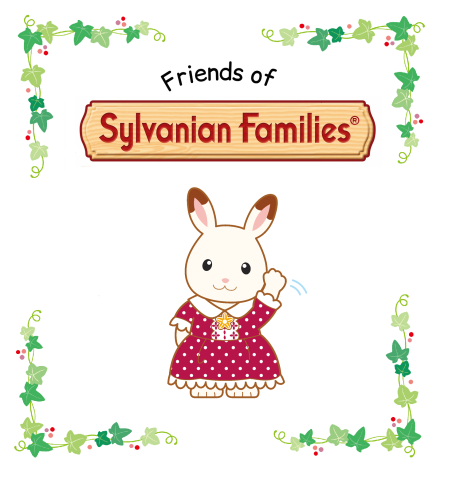 It’s also playable online and by app. I downloaded the app game prior to playing but that also totally baffled my brain so I gave up and attempted the board game instead. So there’s this hexagonal shaped playing board with what looks a bit like honeycomb patterns on it. Then the playing pieces and various trade and other cards. There’s also two dice so as you may be thinking it does have ever so slight similarities to monopoly. You don’t move spaces around the board like many board games, instead all those hexagonal shapes have a number on and the number on the dice is the one you travel too. On each turn the players can expand their terrains and build. Houses, settlements, roads and more can all be built. The resource cards contain useful building materials such as wool and brick and these can be traded during the game. Expanding equals victory points and ten points wins the game. Confused? Yes I was too. 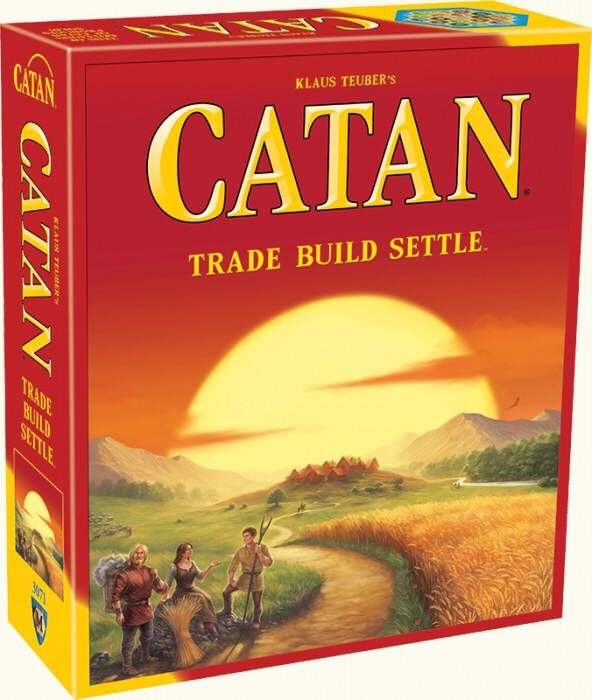 Catan has some amazing reviews online such as on Amazon. It’s a strategy game but unfortunately I just can’t quite get my head round the many rules of this one.